President Trump hands out pens after signing an executive order aimed at making it easier for companies to pursue oil and gas pipeline projects. The president addressed an audience at the International Union of Operating Engineers International Training and Education Center in Texas. Trump's pipeline orders mark his latest effort to push for infrastructure projects his administration says will "unleash American energy." In early 2017, less than a month into Trump's presidency, his administration reversed an Obama administration decision to deny a key permit for the Dakota Access Pipeline and instead approved its construction. Just last month, Trump issued a second presidential permit for the Keystone XL oil pipeline after an earlier permit was overturned by a U.S. district judge. His latest permit is also being challenged in court. One of Trump's new orders calls for the EPA to review a section of the Clean Water Act that requires applicants seeking federal permits for energy infrastructure projects that might pollute protected waters to get certification from the states where any potential contamination could happen. 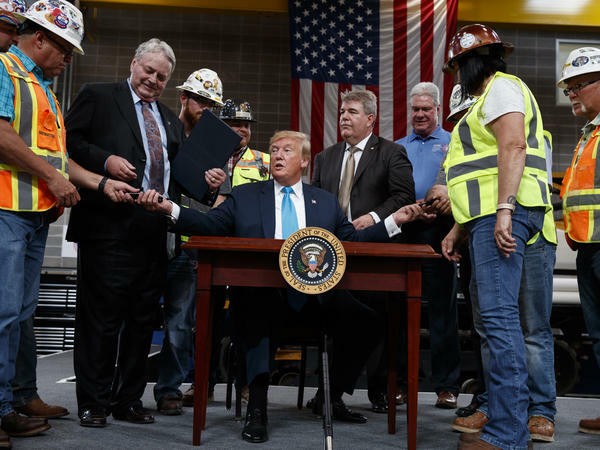 Federal guidance and regulations regarding that requirement — which gives states a direct role in building projects — are described in the executive action as "outdated" and responsible for "confusion and uncertainty" that slows down infrastructure projects. 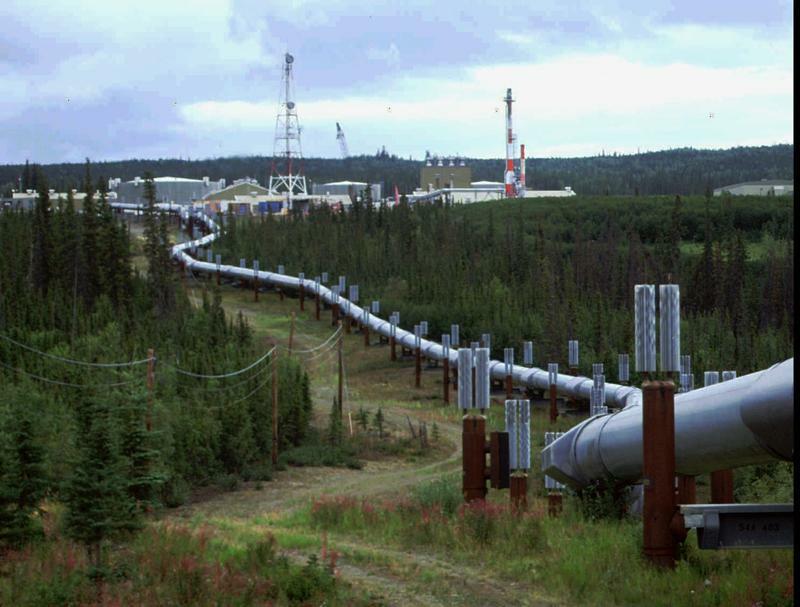 The order also seeks to make it easier to transport natural gas when a pipeline can't be used. The action stipulates an update to a Department of Transportation safety regulation on facilities that store natural gas in its liquid state so that it can be carried long distances when pipeline transport isn't possible. The change would allow transport of the liquefied natural gas in approved railroad tank cars. Trump's order also instructs the secretary of labor to investigate whether there are "discernible trends" in how certain managers of ERISA-protected investment-based retirement funds invest in the energy sector. The second order gives the president the exclusive responsibility to "issue, deny, or amend" permits for infrastructure projects that cross international boundaries of the United States. "The president — not the bureaucracy — will have sole authority to make the final decision when we get caught up in problems," Trump said. Trump said he's ending a "war on American energy." But critics say the orders are an overstep of federal authority. "Trump's developing an addiction to executive orders that rubber-stamp these climate-killing projects," Brett Hartl, the government affairs director for the Center for Biological Diversity, told The Associated Press. New York Gov. Andrew Cuomo called Trump's first order a "gross overreach of federal authority" that undermines the state's ability to "protect our water quality and our environment." "States must have a role in the process for siting energy infrastructure like pipelines," Cuomo said in a statement. Washington Gov. Jay Inslee issued a joint statement with state Attorney General Bob Ferguson: "We intend to challenge any attempt by the administration to illegally constrain Washington's authority to protect our state's natural resources." Inslee is making climate change a top issue in his run for the Democratic Party's presidential nomination. But people who support the president's move say states' interference in oil and gas pipeline projects hurts consumers. "When states say 'no' to the development of natural gas pipelines, they force utilities to curb safe and affordable service and refuse access to new customers including new businesses," said Karen Harbert, the president and CEO of the American Gas Association, in a statement. Trump stopped in Crosby for the signing on his way to meet with supporters and fundraisers in Houston. While he had the Crosby audience's attention, Trump took the opportunity to thank part of his base. "I know you well, and I also know who most of you voted for," the president said. "And I appreciate it." The world is going to produce a lot more oil over the next few years, and more of it than ever will come from the United States. 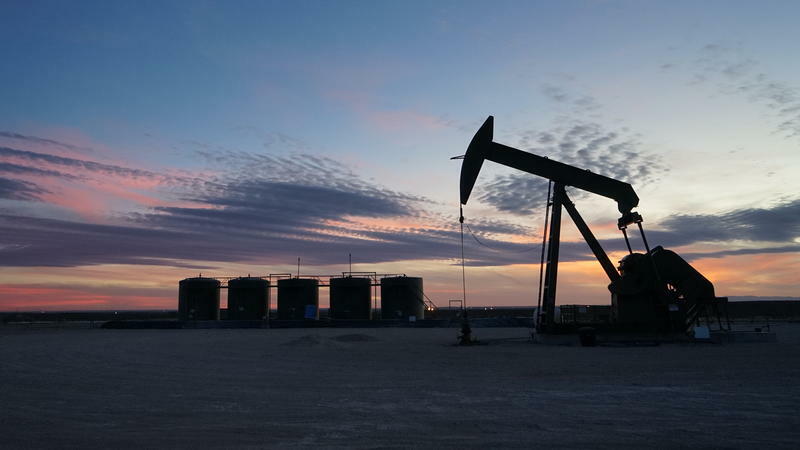 According to a new report released by the International Energy Agency this week, by 2023, the U.S. will rival Saudi Arabia in oil exports, less than a decade after former President Barack Obama lifted a ban on crude oil exports.